One of the key benefits of owning bullion is its liquidity. 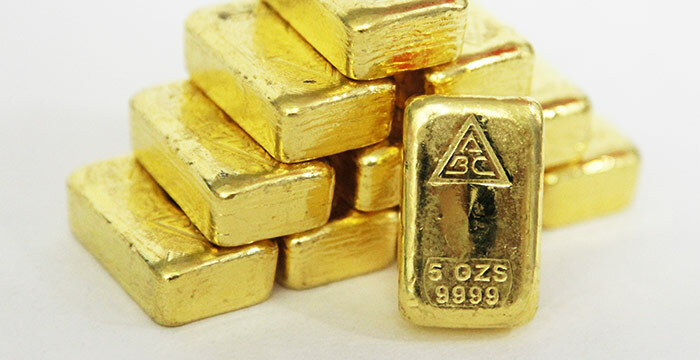 You can sell your bullion as quickly and easily as when you bought it. No marketing campaigns, no protracted settlement periods, no stamp duty etc. You just bring it in or send it to us and we pay you. Simple! When the time comes where you wish to sell some of your precious metal bullion, Ainslie Bullion deliver the simplest, most hassle-free bullion purchase service. We also guarantee competitive pricing. Selling bullion, be it gold, silver, or platinum, can be processed as easily as buying it, either personally or by telephone. This couldn’t be simpler. Just bring the metal you are selling in to us, we test it on the spot and pay you by either cash, bank transfer, or cheque as you wish. If there is a lot of weight, call us and we will bring a trolley down to the carpark under our building (parking only $10 for the hour) and help you up with it. If you are selling as a trust, company or SMSF and we don’t already have your documents please ensure you bring originals or certified copies so we can pay you immediately. There is no need for an appointment. If you can’t get into our store but want to sell bullion you own, simply call us to arrange it being sent to us. The price will be discussed and shipping will be arranged at the time of the call. We can offer a guaranteed price for your precious metal provided it is dispatched to us on the same day. Funds can be directly credited to your nominated bank account once the metal is in our custody. You can simply post the bullion to us or we can arrange a hassle free pickup anywhere in Australia and have your parcel delivered, fully insured to our business address. For Ainslie storage customers, when you want to sell your gold or silver simply call or email instructions to [email protected] and we can be process your request immediately with the funds transferred to your nominated bank account that day. If you are one of our many customers who store their metal at Reserve Vault it gets even easier. Simply ring us on the day you make your appointment at Reserve Vault and let us know what you wish to sell to us. We can lock in a price then so you know exactly what you will get. You hand over the agreed amount to a guard at Reserve Vault and they confirm the receipt with us immediately. We then pay you directly. This saves you coming into our office (unless you want a cash payment) and also saves you walking around town with that metal. Please note, we do not buy scrap gold and only buy jewellery from registered jewellers. We also do not deal in rare coins except for their intrinsic precious metal content. If you have rare coins you may well be better placed trying a coin dealer before us for best returns. Primary Gold - We also purchase primary gold from miners and will refine and furnish the supplier with an assay report. Whether selling small or large quantities of gold and silver bullion, we guarantee competitive prices when selling your bullion to us. We pride ourselves in keeping your sell transaction hassle free, while also being ready to purchase your bullion no matter what the state of the market.